A Child's Christmas in Wales is high on sentiment and low on surprise. Director Charlotte Moore has chosen three -- count 'em, three -- Christmas trees, a Christmas wreath, a row of Christmas candles, a Christmas black piano, a plush Christmas rug, and five Christmas chairs to adorn the small stage of the Irish Repertory Theatre. The evening's structure is simple: A cast of five (three men and two women, accompanied by a pianist) sits in chairs, sings Christmas carols, and intersperses the songs with dramatic readings from the Dylan Thomas prose poem that gives the show its name. 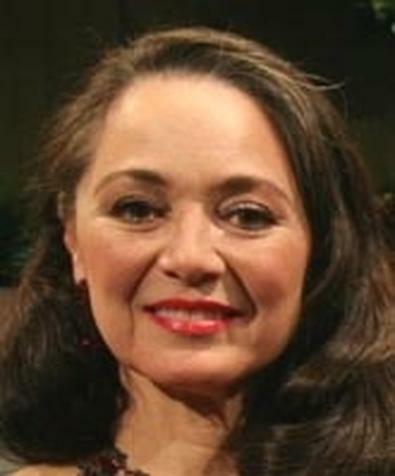 Despite the appearance of Victoria Mallory, in her return to the New York stage since playing Anne in the original Broadway production of A Little Night Music in 1973, the Thomas poem is the star of the show. His winding and sing-song sentences -- "we were snow-blind travelers lost on the north hills, and vast dewlapped dogs, with flasks round their necks, ambled and shambled up to us, baying 'Excelsior' " -- conjure not only an idyllic Christmas past but also an awareness of the hazy gloss required to keep memories fond. The cast members' cheerfulness and the constant interruption of the carols, however, keep any sadder implications from blighting the show's merry sheen. It is Mallory who provides a mild corrective. She has retained the cute high-pitched voice that made her perfect for Night Music's cradle-robbed wife, but now she has the most mature face -- and singing voice -- on stage. As she transitions through young and old characters throughout the reading, and then stands to deliver the show's one solo (a moving "Calon L창n"), she alone can convey the effort and the rewards of remembering a more innocent time. But the Irish Rep's A Child's Christmas in Wales is more interested in innocence than introspection, and in a Christmas season unusually ripe for escapism, who can blame an audience for appreciating the treat? Presented by and at the Irish Repertory Theatre, 132 W. 22nd St., NYC. Dec. 7-Jan. 4. Wed.-Sat., 8 p.m., Wed., Sat., and Sun., 3 p.m. (212) 727-2737.